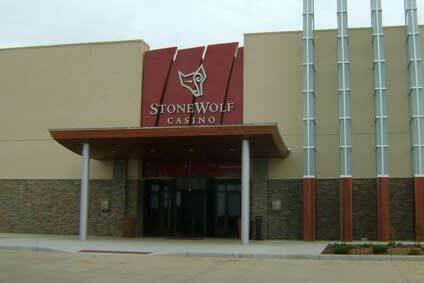 StoneWolf Casino is located at the intersection of Highway 18 and U.S. 412 on the Cimarron Turnpike. Minimum age 21 to enter and play on the main casino floor. Anyone 18 and over is welcome in the non-smoking area adjacent to the Travel Plaza.